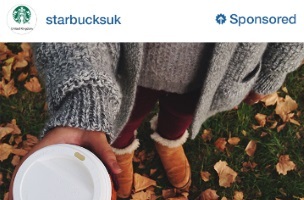 Instagram Ads Debuting in the U.K.
As it announced in June, Instagram will launch advertising in the U.K. Tuesday, from what it called “carefully selected brands,” including Starbucks, Cadbury and Sony Music, The Next Web reported. 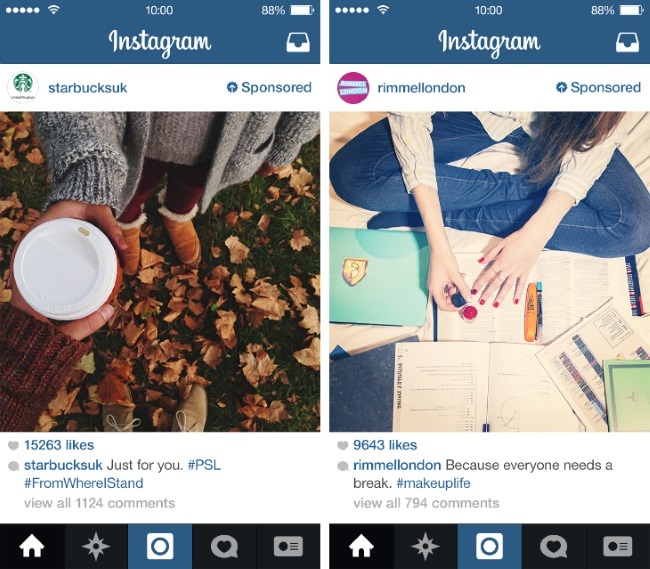 Just as they are in the U.S., Instagram ads in the U.K. will be tagged as sponsored, and the aim is to have them blend in with content from non-brands in users’ feeds. We want ads on Instagram to be as engaging and high-quality as the experience of flipping through a favorite magazine. There was no word on when the Facebook-owned photo- and video-sharing service would debut ads in Canada and Australia, which were also mentioned in June’s announcement. Readers: What have your experiences with Instagram ads been like? Screenshot courtesy of The Next Web.